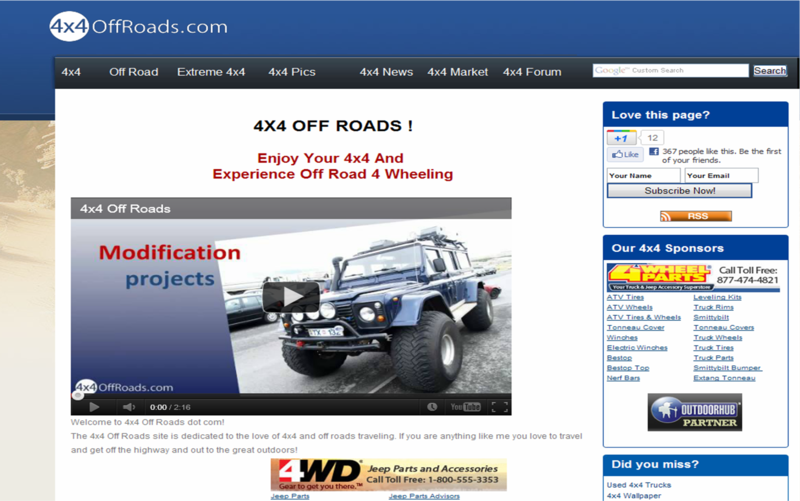 4x4OffRoads.com is another business based out of Iceland that I believe is going to make it just like the example of dressupgames.com that I wrote about recently, I am not sure how fast they will get there but I think they have the potential to be a good sticky, sustainable, Long Tail business. The story line is pretty similar… the founder is passionate about 4×4 Off Road vehicles, created a website basically dedicated to anything and everything Off road vehicles and saw that he is starting to get a traffic and decided to build a business around it. The number of visitors to the site has been ratcheting up. I think in his video he mentions about 10,000 visitors per day. The facebook page has 32,252 fans. I think the company needs to work on a bunch of things and build a business, the company at its current stage will need capital, a lot of mentoring, advising and active pushing to get it to the next level. I have met with the founder a couple of times and I think there is potential. ← STOP SOPA! Take Action, stop censorship!